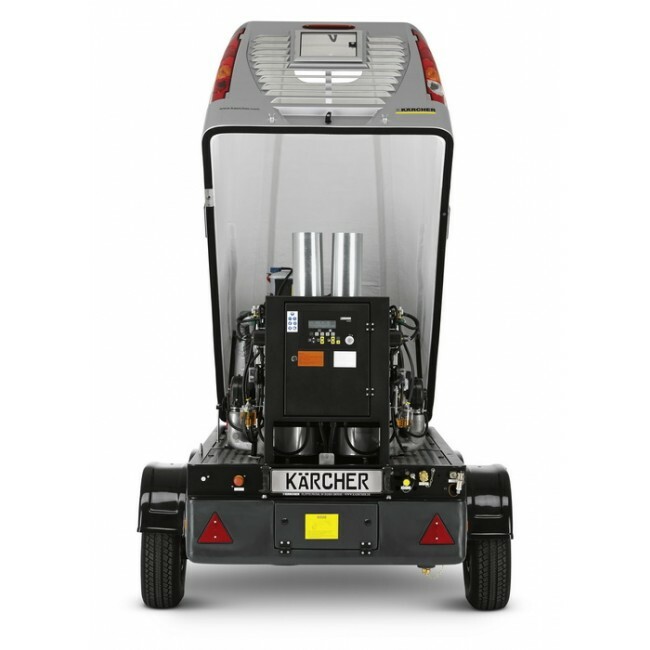 Kärcher UHP cleaners are the perfect solution for when the cleaning performance of conventional high-pressure cleaners no longer suffices. They use hot water at a pressure of up to 800 bar or cold water with a pressure of up to 2500 bar. They benefit from high-performance motors that meet extremely high environmental standards such as the current EU exhaust emissions standards. Completely mounted on a trailer chassis and with only 1500 kg towing weight when the tank is empty, each device can be easily towed by a medium-sized vehicle. The selection of the working pressure is standard in all four Kärcher UHP machine. Depending on the type up to 2500 bar. Instead of the double burner unit the 1000 bar cold water unit has another pump that makes operation by 2 person possible. 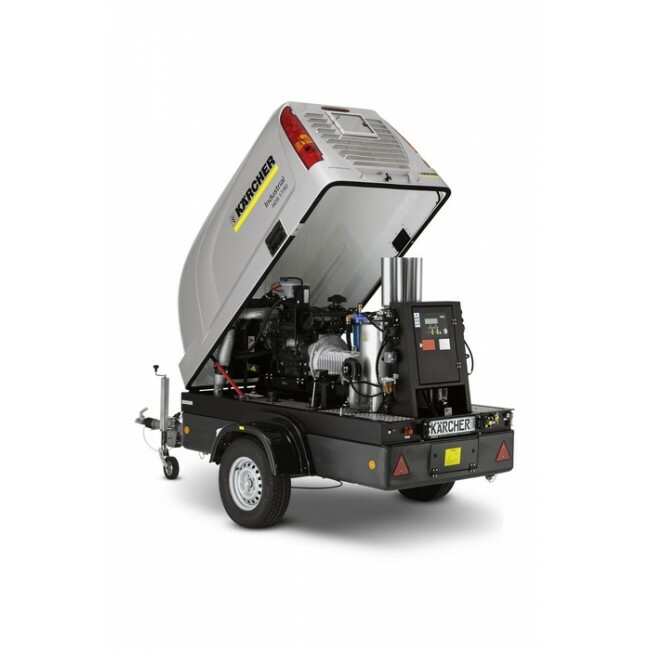 The 2500 bar unit has an integrated compressed air compressor which actuates a valve for idle mode as well as for operating compressed air-driven water jet tools.A high-capacity fine-mesh filter protects every ultra-high-pressure machine from dirt and particles. A pressure pump pumps the feed water from the integrated water tank into the high-pressure pump. This prevents cavitation and the resultant increased wear. Whenever the pistol is released, an open suction valve reduces the pressure extremely quickly, thus relieving the pump unit. This without any wear. The tank systems below the frame of the singleaxle trailer are protected from spilling over by means of a safety tray. The three chambers can hold 200 l water, 200 l diesel and 20 l antifreeze. This provides the flexibility and reserves that professionals expect in this field of application. 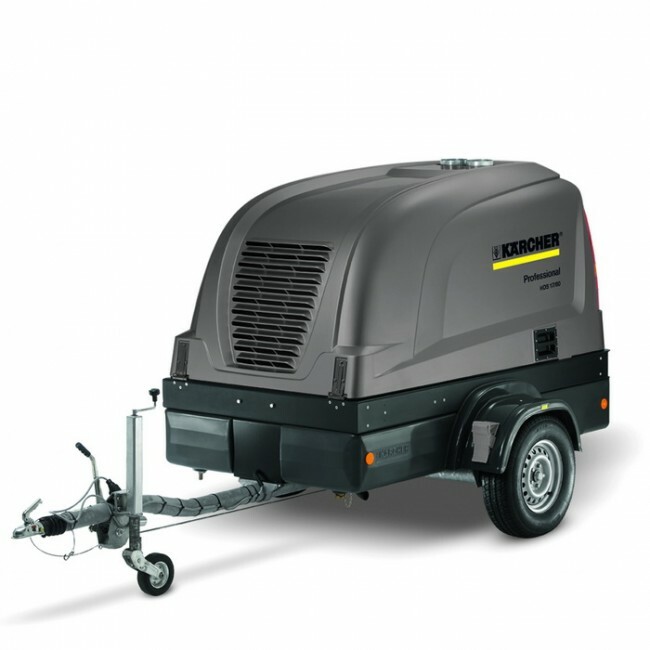 Compact trailer suitable for car use; integrated antifreeze system; safety chamber tank system. For the sake of the environment: All diesel engines have integrated soot filters as standard.